Pacific Northwest Black sheep rally is this weekend. 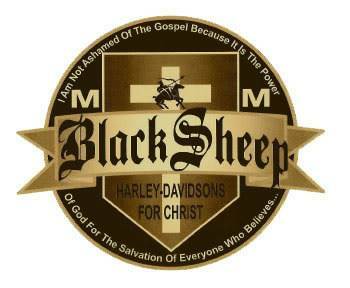 Black sheep and friends will get together for fun, riding, worship and fellowship. Registration for the wallet is closed but you are welcome to come ride with us. Friday’s ride is Blanchard pass. Kick stands up from Valley Assembly church. 12:00pm This is a leisurely ride, about 95 miles through some of Spokane’s and Idaho’s back country, including rolling hills, farms and the somewhat twisty, shaded roads of Blanchard Pass. We should return to the church by 4 pm. Saturday’s ride is Lake Coeur d’Alene. KSU from Valley Assembly at 10:30 am This is a beautiful fun filled ride with lots of twists, turns and scenic views of Lake Coeur d’Alene as we travel to our lunch stop in the little town of Harrison, ID. This little gem is sure to satisfy just about any palate with it’s creamery, coffee shop and restaurants. Continuing on with this gorgeous ride through the forests and country side of the Idaho panhandle as we head back to Spokane and to the LONE WOLF HD Dealership. This ride is about 140 miles. Returning to the dealership around 5.
please note if we get 40 riders registered for the Saturday ride. We will add a second option. West plains and flowery trail. Also leaving at the same time. This is always a fun ride with lots of twists and turns through the mountains of eastern Washington. With a lunch stop in Chewelah. We will park by the park. There is Zips and subway nearby a well as what ever Chewelah has to offer. This ride is about 170 miles and will end at Lone Wolf approximately 5 pm.